Happy Tuesday! 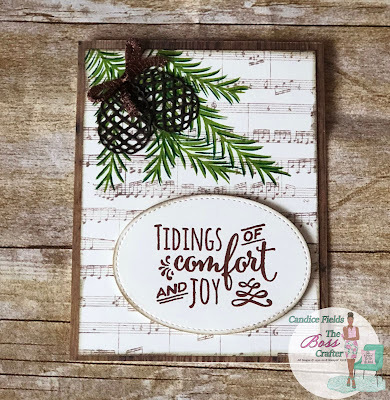 Today, I am sharing a card I cased from the Annual Catalog! I am featuring the Christmas Pines and Sheet Music. I did add my own spin on the card. You can get the tutorial HERE! July Promotions - LAST DAY!